Listening Leaders - We ARE Listening! - Innolect, Inc. | Innolect, Inc.
Are you growing leaders who listen and communicate effectively? Are you building the high integrity workplace you want? Innolect has a passion for Growing Leaders who LISTEN. We know that leaders who listen are more likely to Build Creative, High-Integrity Workplaces. Our research demonstrates that 50% of a leader’s overall effectiveness is tied to perceptions of communication and listening proficiency. Leaders who develop effective communication and listening skills establish the foundation for “great places to work” and strong organizational cultures. 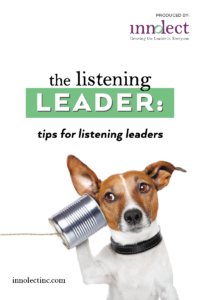 WHY DO ORGANIZATIONS NEED LISTENING LEADERS? Are globally recognized listening experts. Deliver top rated listening keynote presentations. Validated Assessment tools – Listener Preference Profile assessment featured on ABC’s 20/20. Research published in top journals such Chief Learning Officer, SHRM, Toastmaser, Training & Development, etc. Most comprehensive listening products in the market – used by corporations, universities, trainers and consultants. Listen Up! translated in 8 languages and recommended by Stephen Covey, author of Seven Habits of Highly Successful People. 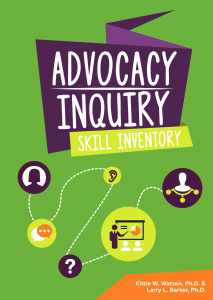 Innolect is the leader in offering the most current research, assessment tools and training in listening. Since the early 1980s, Innolect consultants (formerly SPECTRA Inc.) have been committed to developing and facilitating initiatives to improve and build effective listening and communication capabilities. Innolect founder and President, Kittie W. Watson, Ph.D., is an internationally recognized expert in the field of communication and listening. 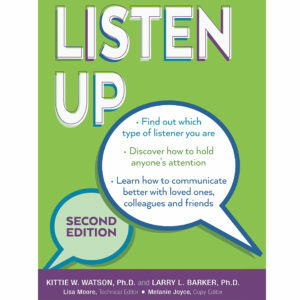 The WATSON-BARKER Listening Test, the book LISTEN UP!, the Listener Preference Profile, the Listener Styles Profile, and the Advocacy/Inquiry Skills Inventory are used internationally to enhance individual and team effectiveness. Her co-authored book Listen Up! 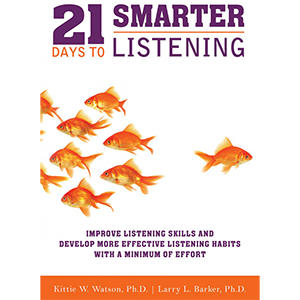 has been published in seven languages and her latest co-authored book is 21 Days to Smarter Listening is used in professional development workshops around the globe. She has been featured on ABC’s 20/20 as a listening expert and in publications including: Chief Learning Officer, American Medical News, Bottom-line Personal, People + Strategy, Money, Glamour, and Harvard Business Review. Kittie Watson is the former chair and professor of the Department of Communication at Tulane, and is listed as one of the top twenty-five most prolific women writers in communication. She has been named to the International Listening Association’s Hall of Fame, is a former President of the International Listening Association, and served on the Advisory Board for National Teacher Certification Examination for the Educational Testing Service (ETS). All Innolect consultants are experienced in communication and listening skill development. Our goal is to guide leaders to be more successful through experiential learning programs, workshops and individual coaching. Our award-winning consultant team design and facilitate workshops for fortune 500 clients, government agencies, higher education and nonprofits. Innolect consultants have a breadth of experience and expertise. Our process includes matching the client’s needs with the expertise in our senior consultant group.